First picture show a slipcover on a Sofa and a Loveseat. Sofa Love seat 4-Way Stretchable Slipcovers. - One Sofa/Couch cover = 3 Seater Couch. - One Love Seat cover = 2 Seater Couch. Third picture show the size and shape of a sofa that this slipcover will fit. Pottery Barn Huntington Roll Arm Sofa Cushion Slipcover. Update the look of your outdoor lounge space with covers designed to resist the effects of rain and sun. They’re the perfect finishing touch to our durable Huntington collection. 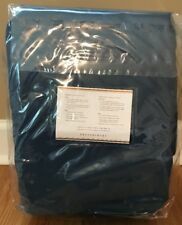 Pottery Barn Huntington Ottoman Cushion Slipcover. - Ottoman Cushion Slipcover. Update the look of your outdoor lounge space with covers designed to resist the effects of rain and sun. They’re the perfect finishing touch to our durable Huntington collection. 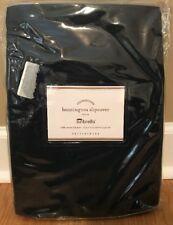 Pottery Barn Huntington Roll Arm Sectional Left Right Arm Chair Cushion Slipcover. - Sectional Left- or Right-arm Chair Cushion Slipcover. Update the look of your outdoor lounge space with covers designed to resist the effects of rain and sun. 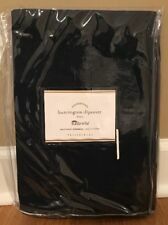 Pottery Barn Huntington Roll Arm Sectional Corner Cushion Slipcover. 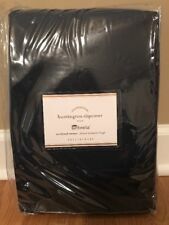 - Sectional Corner Cushion Slipcover. Update the look of your outdoor lounge space with covers designed to resist the effects of rain and sun. Type: Sofa. Color: Caribbean Blue Walnut. Style: Modern. Material: Fabric Wood. Nothing is Set in Stone! Suedine side walls for pets to lean against. Reversible cover to match with a range of décor. Provides a layer between furniture and pet claws. Care: hand wash only. Materials: polyester cover, egg-crate foam filling. Type: Sofa. Color: Caribbean Blue Walnut. For as long as supplies last! Nothing is Set in Stone! Type: Sofa. Color: Lagoon Blue Walnut. Style: Modern. Material: Fabric Wood. Nothing is Set in Stone! Shape:L Shape. Nothing is Set in Stone! Type: Sofa. Color: Lagoon Blue Brass. Materials: 85% Cotton 15% Spandex. Soft fabric chair covers will give your chair a new look. Easy to install and care for. Machine Wash Cold. Do Not Bleach and Iron. Our chair seat covers are Anti Mite and Anti oil. Loghot Pure Color Stretch Fabrics Chair Covers Computer Office Universal Stretch Rotating Chair Cover (Royal Blue). Since designed to be foldable, folding chairs have a slanted back, while banquet chairs have a straightened back. Deep inset buttons adorn this magnificent centerpiece for your bedroom décor. Annabel is made from fiberboard, plywood and fine polyester upholstering for a construction that is both lightweight and long-lasting. Add elegance to your bedroom with the Emily tufted button headboard. Designed with just the right amount of grace, Emily is made from fiberboard, plywood, and fine polyester upholstering for a construction that is both lightweight and long-lasting. Set Includes. One - Lily Headboard. Contemporary queen sized headboard. Headboard only. Mounting Location A - Height to Top of Headboard: 52.5"H. Mounting Location A - Height to Bottom of Headboard: 30.5"H.
Set Includes. One - Lily Twin Headboard. Elegant tufted button headboard. Mounting Location A - Height to Top of Headboard: 52.5"H. Mounting Location A - Height to Bottom of Headboard: 30.5"H. Mounting Location B - Height to Top of Headboard: 50"H.
Finely Upholstered Fabric. Dense foam padding ensures comfort, while the well-orchestrated style will energize your space. Set Includes:One - Response Bench. Bench Weight Capacity - 662 lbs. Baby & Kids' Furniture (2810). Enhance your decor with the distinguished Terisa Headboard in Fabric. Set Includes. One - Terisa Queen Headboard. Color: Azure. Dense Foam Padding. Baby & Kids' Furniture (2810). Bar Furniture (529). Gently sloping curves and plush chaise cushion create a favorite lounging spot. Set Includes:One - Engage Left-Arm Chaise. Chaise Weight Capacity: 1323. Finely Upholstered Fabric. PLASTIC FOOT GLIDE. Minimalist lines reveal much with the Sheer Armchair. Imbue your living or lounge area with this unique piece made of dense foam padding, fine polyester upholstery, and cherry stained wood legs. Set Includes:1 - Sheer Armchair. Deep inset buttons adorn this magnificent centerpiece for your bedroom decor. Annabel is made from fiberboard, plywood and fine polyester upholstering for a construction that is both lightweight and long-lasting. Adorn your bed of choice with the eleganty designed Jessamine Headboard in Fabric. Set Includes. One - Jessamine Queen Headboard. Color: Azure. Floor to Bottom of Headboard: 17.5"H. Dense Foam Padding. Add vivacity to your decor with the Panache Collection. Set Includes. One - Panache Armchair. Color: Azure. Armchair Weight Capacity - 441. Baby & Kids' Furniture (2810). Bar Furniture (529). Bathroom Furniture (6313).